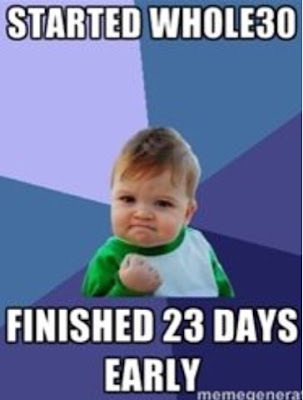 Haha this made me laugh… Fake out, we’re not done yet!!! WHOO HOO!!!! 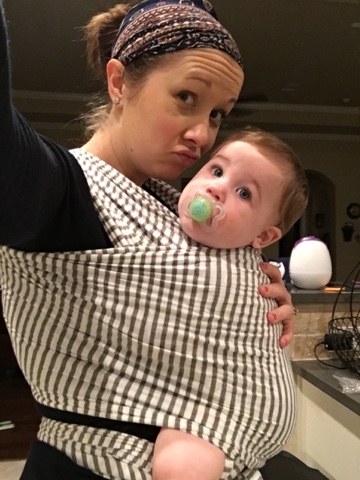 We made it to week TWO!!!! YAY!!!!! Ok, I am feeling so much better already. I’m kind of amazed about it. I’m so excited to see how the rest of the month goes and I’m really hoping that I can continue a lot of this eating lifestyle after the month is over. It’s really been so much easier than I thought it would be. And seriously, if you are thinking, “There is no way I could do this…” just start out small… do one of these meals here and there each week. Then add another. Gradually clean stuff out of your pantry. 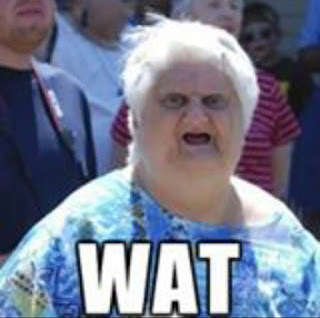 Then when you decide to really commit to the full month, it won’t be as hard. I feel like that’s kind of what I did. 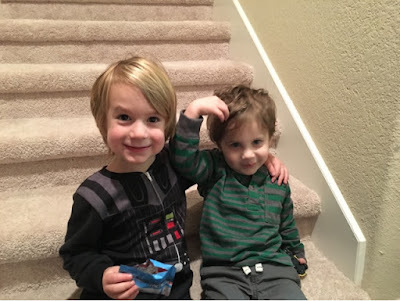 I cut out dairy in the summer/fall because it was bothering Jude nursing, so that was easier to let go of this past week. A lot of these meals we were already doing here and there, so it was just a matter of doing it all day every day. So here’s the breakdown for week two plans. The breakfast and lunch will be familiar, I just copied and pasted from week one what I had and then added a few more things. Whole30 recommends treating meals as just a meal, and eating any kind of protein, fat or veggie at any time of the day, but my brain can’t really wrap itself around that quite yet… I’m still an eggs for breakfast kind of girl! 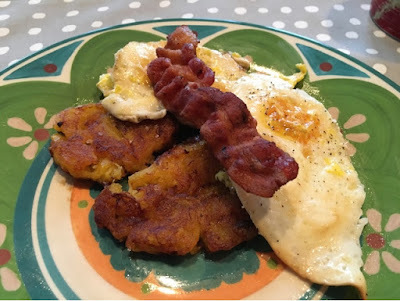 Pantacones (smushed fried plantains) are yummy for breakfast too! 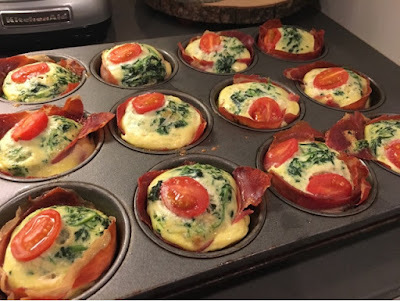 I had one leftover that was getting more brown, and it was great for breakfast! potatoes (any kind) – cut up ahead of time, boil 10-15 minutes and store in the fridge; when you are ready to cook breakfast just grab a handful and toss them in the pan on the other side with the eggs, add some rosemary to them with ghee. I also diced mine and made a hash with them. How to make your own coconut milk… haven’t tried this yet but Natalie and Jessica said it’s great! 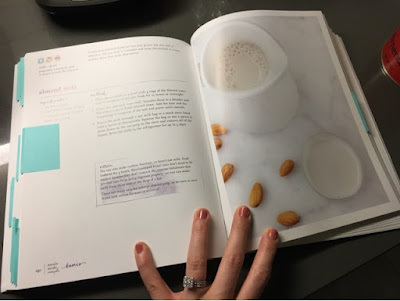 Almond Milk from Against All Grain – So I haven’t been the biggest fan of coconut milk in my coffee… kind of had a chalky taste to it and wasn’t settling in my tummy well, so I went for the almond milk this week and I. Am. In. Love. This was so easy to make, well, once I figured out what a “Milk Nut Bag” (???) 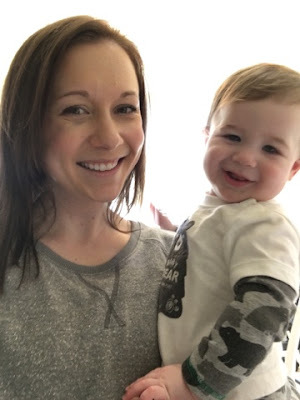 was it was easy to make… Thank you Amazon (because really, where else do you go when you have some random product you’ve never heard of… and I guarantee you Target doesn’t have milk nut bags in stock…) but really, it tasted amazing in our coffee. I think at this point I won’t be going back to my creamer. You heard me… I said it. No more creamer. 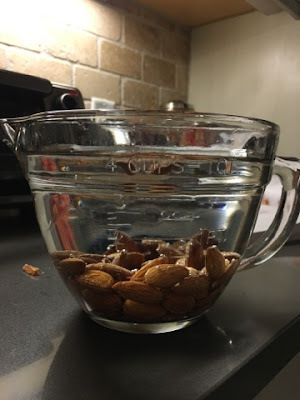 Here’s how you do it… Put one cup of raw almonds in 4 cups of filtered water and let it soak overnight. Pour off the water and add 4 cups of fresh water. Pour water and almonds into your blender and add a date, then blend it up! 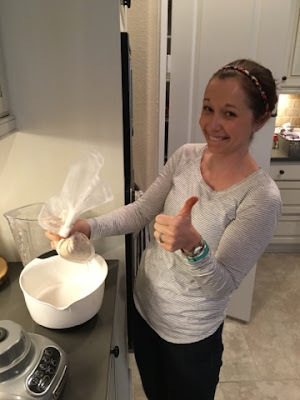 Pour the mixture through the “milk nut bag” (I’m sorry, that’s just the weirdest name ever and we couldn’t stop laughing about it lol… guess I’m channeling those former 8th grade students again… I think they’ve ruined me for life at this point. No going back.) and squeeze out the milk into a bowl or container to store it in. Easy peasy. Done. 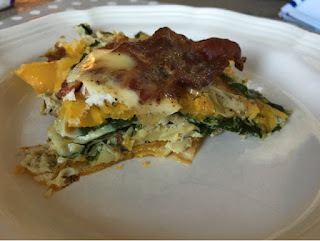 Bacon and Butternut Squash Quiche – ok, saw this on pinterest and had to try it. 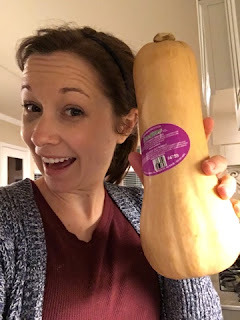 I’ve never had butternut squash before (I know, shocker, yikes! Where has this been my whole life?!) and it was so tasty! Put this together Saturday night (took 25ish minutes, probably will be faster next time) and refrigerated it overnight, popped it in the over Sunday morning. 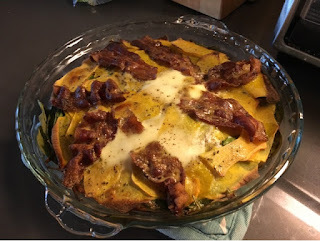 I would make this again, the only thing I would do differently is maybe add a couple of eggs to the recipe. But that’s just me. random plate of stuff – sometimes I like to just grab random stuff for lunch… orange slices, lunch meat, avocado, plantain chips and salsa, handful of nuts, grapes… get creative! 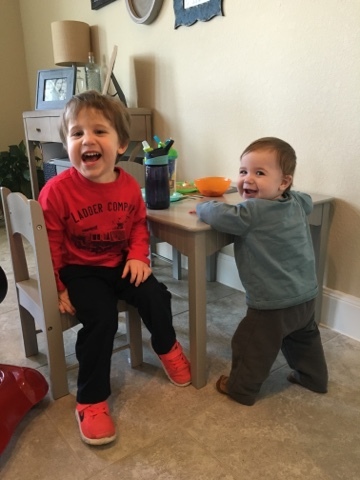 Sunday Lunch – Again, I am doing a slow cooker on Saturday evening to cook all night and be ready for us when we get home from church! And this one makes plenty so there will definitely be leftovers! 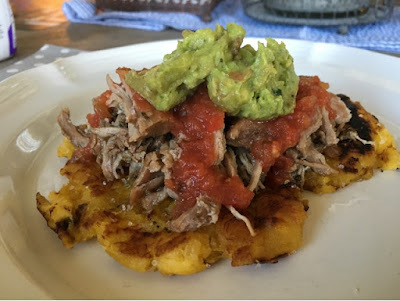 Pork Carnitas – Rinse and dry pork, place in crockpot. Mix 1 tbsp dried oregano, 2 tsp ground cumin and 1 tbsp of olive oil in a little bowl and then rub onto pork. Top with sliced onion, sliced jalapeño, minced garlic and squeeze 2 oranges of juice over the pork. (I actually only had mandarin oranges so I used 4 little ones instead of 2 big ones.) Cook on low 8-10 hours. Once it has finished cooking, remove pork from the crock pot and shred it, then heat 1 tbsp of olive oil in a pan and place the pork in the pan. Spread it out and press it down so one side gets a little crunchy. I also got some of the juices from the slow cooker and poured it on top of the meat. So yummy. Serve on pantacones (cut a plantain in half, heat in coconut oil, then remove from pan and smush with a jar or glass bowl, return to coconut oil and fry with sea salt – there’s probably a better way to make them, this is just what I did. ), with avocado, tomato, salsa… whatever toppings you want! Y’all, I never thought I would say this, but who needs Gringos. This was SO good. preheat oven to 375, cut up veggies, sautee onions in coconut oil, add mushrooms and garlic and cook until moisture is gone, add salt and pepper, remove from heat and let cool on a plate. Beat the eggs with coconut milk, coconut flour, salt and pepper. Combine with the mushrooms and spinach. 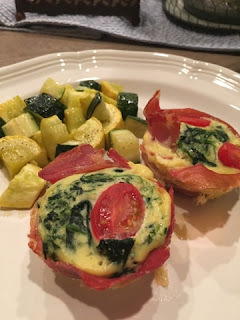 Brush muffin tin with coconut oil and line with prosciutto, then pour in the frittata batter and top with sliced cherry tomatoes. Cook about 20 min, rotating the pan half way through. We had a ton of leftover pork so we finished that off tonight! Chicken Salad – Cooked some chicken breasts in the crockpot overnight Tuesday, shredded it Wednesday morning and made this for lunch today. Buffalo Chicken Wrappers from Practical Paleo – Slice 1 lb. chicken thighs into strips and place in mixing bowl, add 2 tsp. chipotle powder, 1/2 tsp garlic powder, 1/2 tsp. onion powder, sea salt and black pepper. Heat up 2 tbsp of coconut oil in a skillet and cook chicken all the way through. 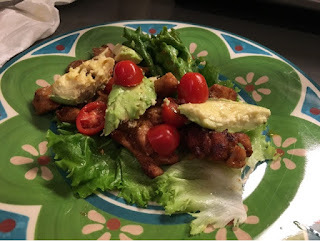 Place buffalo chicken in lettuce leaf, top with cherry tomatoes and avocado slices. These babies are spicy so make sure you get that avocado and tomato on top to even it out! Place chopped onion, celery, carrots and quartered potatoes in the crock-pot. Add beef stew meat and cover with spices, tomatoes, and chicken broth. Cook on high for four hours or low for 8 hours. Garnish with Cilantro. This made a TON and was perfect to share with some of our besties who are now parents!!! Saturday – I don’t know about you, but it’s nice to repeat an easy meal on the weekend! Burgers – We had friends over this weekend so just decided to grill burgers because that is easy to please everyone with! Topped them with a fried egg again and some guac and also fried some plantain chips! YUM! The green plantains worked out much better this time around. I'm glad that you post your weekly menus. Meal planning is overwhelming because I'm so indecisive about what I want to eat, but I survived one week of this so that's a plus. YAY! 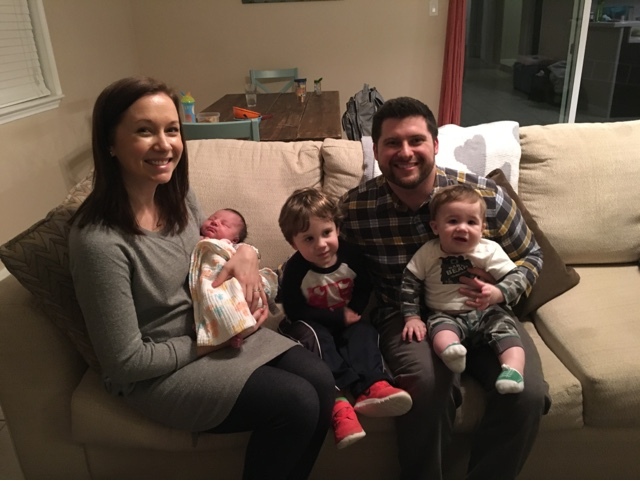 One week down! I think the first week is the hardest! You could just repeat it four times if you wanted to haha! Whoo hoo! !